More and more, Willie Taggart invites you to believe. More and more, he asks you to join in the growth. Taggart won the biggest game of his career Saturday night, upsetting a ranked team for the first time in a stunning 44-23 victory over previously 21st-ranked Temple. It was the fifth win in six games for USF, and it left the Bulls eligible for a bowl ... and perhaps more. Taggart was talking about being on the hot seat earlier as his team got off to a 1-3 start. All along, however, he insisted this was a team where the underclassmen were growing. And now they seem to have arrived. 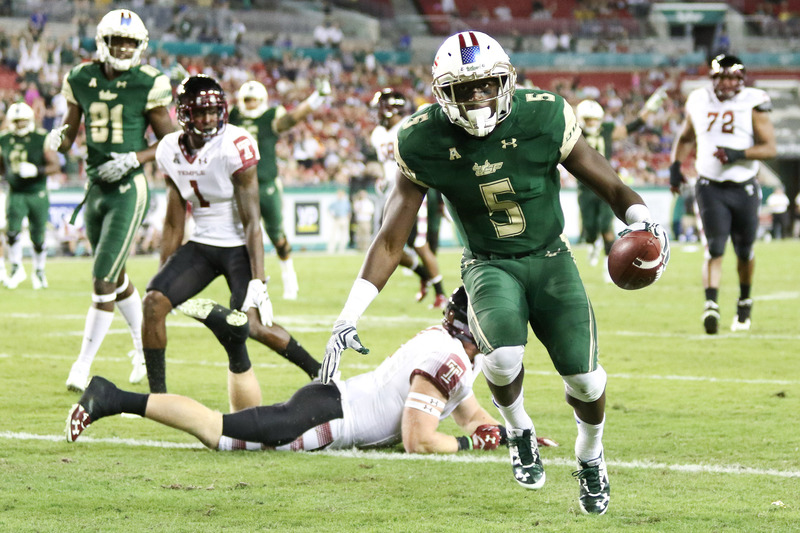 The USF Bulls upset Temple with a complete effort Saturday night. The Bulls won behind the Three Amigos, there three-headed attack of running back Marlon Mack (230 yards), Quinton Flowers (who had 230 himself throwing and 90 rushing) and wide receiver Rodney Adams (seven catches for 142 yards). Together, they were good enough for a 24-point second quarter. Previous post: Ask Gary: Are fans of the Lightning spoiled?